I’m of the age now where I can’t run like I used to. I walk instead, sometimes for hours at a time, but it’s not as satisfying. I miss the endorphin buzz of intense running. So lately I’ve taken to interval training. This is where you walk, and then you run like hell for a long as you can, then you walk again. Desperate to get out of second gear, I started re-reading Cheever. Didn’t help. Got moody and found myself drinking too many gin and tonics. Went back to John D. MacDonald’s The Good Old Stuff but it felt too familiar. So I went to the library and got a copy of Welcome to the Monkey House. I have read very little of Kurt Vonnegut’s work and none of his short stories. It was like a good bracing walk on a wintery beach, maybe in Barnstable Village, Massachusetts. I have been a writer since 1949. I am self taught. I have no theories about writing that will help others. When I write, I become what I seemingly must become. I am six feet two and weigh nearly two hundred pounds and am badly coordinated, except when I swim. All that borrowed meat does the writing. In the water, I am beautiful. Even before reading the first story, I felt better just reading that. Because no matter how clumsy you might be in daily life, how hobbled you might feel because you can’t run anymore, you can still feel beautiful in the water. Isn’t that how you feel when the writing is going well, that you’re effortlessly swimming? It hit me almost physically. A metaphor is a perfect stab of recognition, and that’s what I felt. Then I got to one of Vonnegut’s most famous stories, “All The King’s Horses.” Completely different style, but just as gut-wrenching. A pilot is shot down in Asia during the Cold War. On board are his crew as well as his wife and 10-year-old twin sons. As in all great short stories, we are dropped into a fast-moving narrative river, and all we can do is hang on. The pilot’s Russian captor offers a bargain — the pilot must play a chess game for the lives of his crew and family. Then comes the awful twist — the pilot’s men, wife and sons are to be the living chess pieces, moved on a checkerboard floor in a throne room. That’s all I will tell you, except that I gasped at one point. The first one is great advice no matter what you’re writing — even a memo. The second one I believe in wholeheartedly. Which is why I gave up on The Americans. Number three we’ve quoted many times here at TKZ when we talk about motivation. And the deeper you can plumb the depths of what a character wants, the richer your story will be. 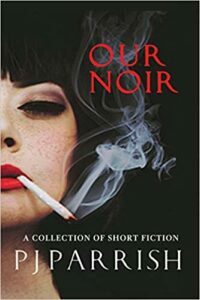 Now, we get to number five, which is critical for short stories but troublesome for novelists, given that we like to flap our gums sometimes before getting to the dramatic point. (ie weather, description, backstory). But if you really think about it, you should never start your novel at too early a juncture. You should always find that prime dramatic moment to drop your reader into the action. Six is a given. As James says here often, something must be disturbed in your protagonist’s world. Number seven is about authenticity. If you set out to be James Patterson, you will fail. Yeah, be smart about today’s market, but write the book you were meant to write. Now the last one is tricky. I am not quite sure what Vonnegut is talking about here. Because on its face, it goes against much of what we talk about here about NOT larding your early pages with too much information. You want some mystery in the beginning. You want to pose questions that beg answers. Maybe Vonnegut is just arguing for clarity in the writing itself? The choreography (moving characters through time and space) must be clear. Confusion should be avoided. Maybe you all can help me out on this one. As for me, it is back to the drawing board. While reading Vonnegut’s stories, I realized I had chosen the wrong point of entry for my own story. I was approaching my story too much like I would a novel. I need to figure out the end so I can begin closer to it. I need to sprint instead of walk. The New Yorker said that a book of mine, God Bless You, Mr. Rosewater, was a ‘series of narcissistic giggles.’ Perhaps it would be helpful to the reader to imagine me as the White Rock girl, kneeling on a boulder in her nightgown, either looking for minnows or adoring her own reflection. 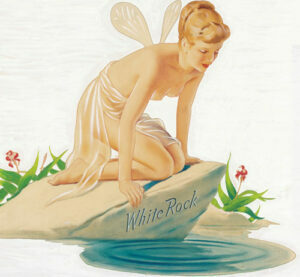 I remember the White Rock girl well. When I was a kid, I thought she was Tinkerbell’s mother. And I always wondered what the heck she was looking at. I still do. But ah, that’s the mystery, no? Good post. I have #8 figured out for myself, but not necessarily for anyone else. For me it means don’t withhold information *unnecessarily* (the key word). 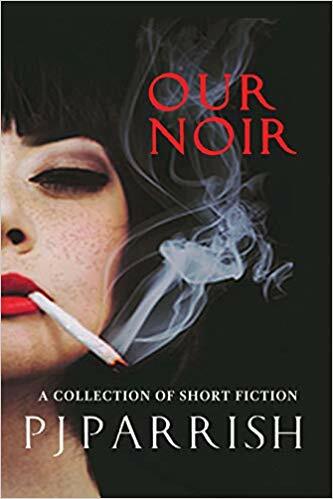 With my copyeditor hat on, I’ve seen numerous beginning writers withhold a character name (they start the story with “a shadowy figure” or a gender-specific pronoun) for no other reason than to add suspense. Of course, if the shadowy figure turns out to be shadowy for a reason (s/he is a major player), it’s necessary. But many beginning writers do so only to seem clever, which leads the reader to feel nothing but cheated and annoyed. That’s a good insight, Harvey. I’m with you that it’s very annoying when a writer withholds niggling stuff like a name. And the “shadowy guy lurking wherever is a trite trope. I have another post in the works about opening with villains and this is one of my pet peeves. Kris, I was really into Vonnegut in college. I tried to write like him and failed, of course, because he was an original and probably a genius. He was Swiftian, so his view of mankind’s nature and future was not exactly rosy (surviving the firebombing of Dresden as a prisoner of war in WWII will have that effect). One summer I read five of his novels in a row, chuckling, but was depressed for a couple of weeks afterward. But his writing is so often brilliant…the deer on the moon; the White Rock girl metaphor. Great stuff. His oft-quote tip #3 is a good one, especially for scenes. Know what each character wants, and put those wants in opposition. #8 confuses me, too. If he means it, should be ignored. In a novel, withholding information is a great way to get readers turning the page (to heaven with suspense!) And a novel or short story with an ending you can guess is a letdown and not likely to get you return readers. Probably Joe, who says most of the insightful things around here. Great post, Kris! Reminded me I need to catch up on Vonnegut whom I somehow missed during high school and college. Perhaps, as you say, I wasn’t ready for him yet. Better late than never. Great video! Leave it to Vonnegut to link Hamlet and Cinderella on the misery scale. I love that video. Vonnegut’s writing has always seemed to me similar in some ways to Twain’s. This is the only time I’ve seen video of Vonnegut speaking at an event and his appearance, humor, and mannerisms reminded me of the few rare film segments of Twain I’ve seen, as well as every performance I’ve seen by anyone reenacting Mark Twain.